Swedish saxophone player/improviser/composer/music archivist Mats Gustafsson has worked in the outer regions of jazz, avant-garde, experimental rock and free improvisation for more than 35 years. Gustafsson is also a passionate record collector who strongly believes that actively nurturing the urge to seek for rare and obscure vinyl is a gateway to higher musical knowledge  a knowledge that it is a musicians duty to share. 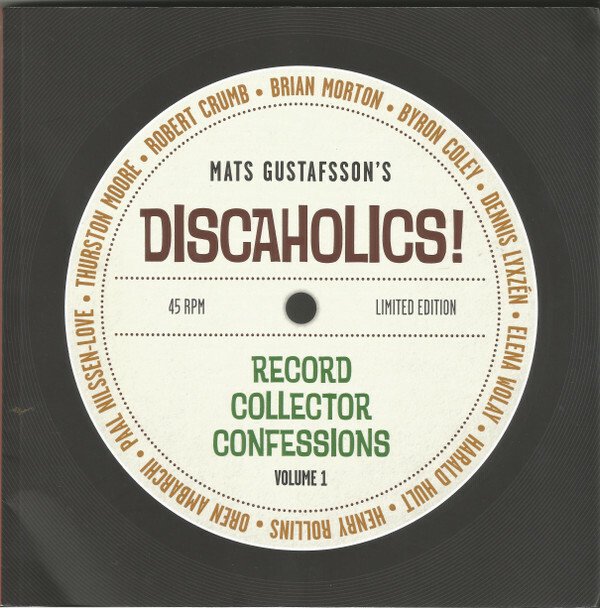 He has coined the term Discaholism  and on his website Discaholic Corner he interviews fellow artists who have the same urge to spend all their waking hours obsessing about music and records.#This book presents ten selected interviews with artists/record collectors: Brian Morton, Byron Coley, Dennis Lyxzén, Elena Wolay, Harald Hult, Henry Rollins, Oren Ambarchi, Paal Nilssen-Love, Thurston Moore and Robert Crumb.#Also included are 25 TOP 10 lists of Gustafssons personal vinyl obsessions; an in-depth interview with Gustafsson himself; numerous illustrations and photos; plus a one-sided 7 vinyl single with an exclusive new track recorded 2017; created using elements from Gustafssons record collection.